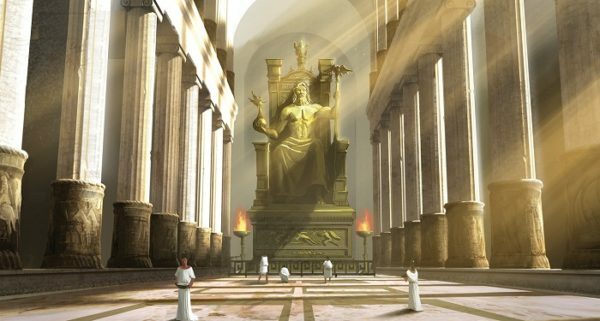 The flame of the Olympics was lit for the first time in Olympia, where the statue of Zeus was – the masterpiece carved, in gold and ivory, by Phidias himself and considered one of the 7 Wonders of the Ancient World –in his honor was lighted the blaze and which also signified the act of the titan Prometheus –the one who stole the fire from Olympus Mountain and gave it to humanity, even if this brought him the ultimate punishment. 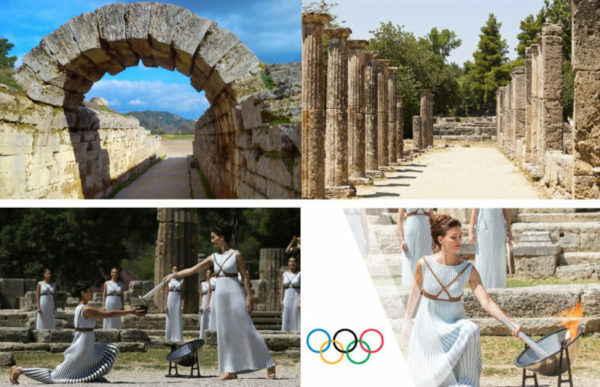 Today, the Olympic flame burns once in 4 years and represents the light of life, of knowledge and of the soul, being also the symbol of the Modern Olympic Games. To the center of the Peloponnese is the famous Sparta, but also the beautiful Mytras –the byzantine fortress which I am happy to see whenever I arrive in the area. The climbing is quite demanding, and the summer temperatures can make it even more difficult, so it is recommended a visit scheduled early, but also an appropriate outfit. Sprinkled with architectonic jewelries, the road takes you where only the hawks soar. 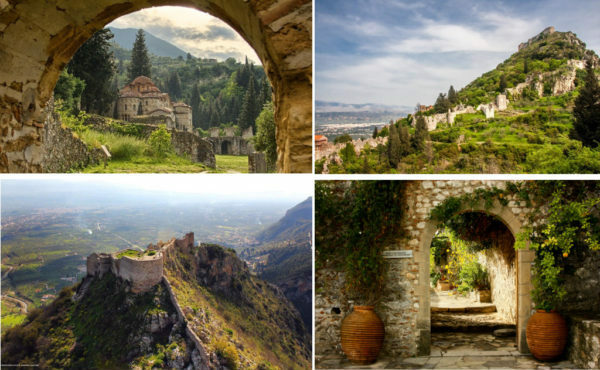 And I’m not saying anything else because you have to get to Mystras! And still, Mani –the foot from the middle of Peloponnese –is the most spectacular. I wonder how people could live so isolated, to take the food out of the empty stone and to „communicate” with the cannonballs fired from a cannon in case they did not agree something with the neighbors. The landscape is dramatic, but proud as the inhabitants of the area. The village of Vatheia is a miracle and I am thrilled that the owners of the places have decided to bring it back to life! The small peninsula deepens into a sea of infinite blue, in a place that seems to be the end of the world and here it is said they say they were the gates to Hades. In fact, it is only the farthest southerly point of mainland Greece –yes, they forgot that the Peloponnese is the island! Since you’ve come all the way out there, the caves through you walk by boat on a lake of crystal clarity , at a constant temperature of 15 degrees in the air and in the water regardless the season, are an attraction not to be missed. It was the only place on earth where I was silent for 20 minutes… and that’s because I was speechless! Once I crossed the mountains of Sparta and I almost cursed my days by looking to the abyss, which is so beautiful, and also so threatening, but the olives from Kalamata, and not only, were tempting me towards the West Coast. Pylos, with the fortress of Nestor another Argonaut king, hero of the Iliad –and Navarino Castle, Natural Reservation Gialova and the magnificent beach of Voidokilia or Navarino Bay with «The Romanos», represent enough reasons to venture on the alternate route between the mountains and which seems the longest road in the world because you can make it with 30 km per hour, for safety reasons, shouting through the teeth: „This is Sparta”, but it takes you to the beaches with…smooth sand from Pylos –known from Homeric times. Obviously, you can also choose a stare of an art highway, but the spectacle of the unleashed nature in Spartan style…deserves every curve! During the 19th and 20th centuries, the Peloponnesian area became very poor and a significant part of the population emigrated, moving towards larger cities, especially Athens, but taking their chances also in other countries such as the United States or Australia –a pragmatic explanation of the generous Greek communities on the two continents. The Peloponnese was heavily affected during the Second World War and the Greek Civil War, in the peninsula being committed some of the greatest atrocities in the country. But in recent decades, the standard of living has increased significantly in Greece, especially after joining the European Union, in 1981. But the old Ellada faces these moments other challenges, which I’m sure will overcome them, one day, in Zorba dancing steps. 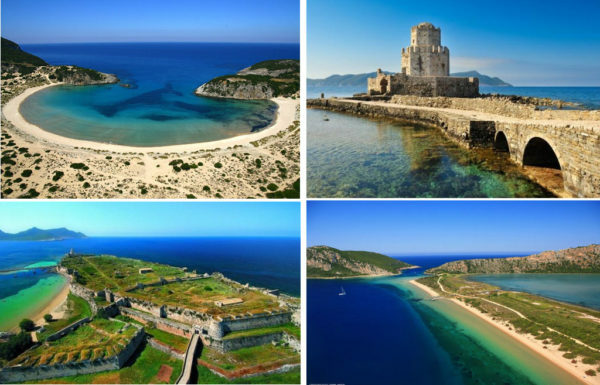 So when you visit the Peloponnese, take it as it is and enjoy everything it has to offer! And it has so many; you only have to know how to receive it with open arms!